Waking up the Indian recycler! Our grandfather- Mr. P.S. 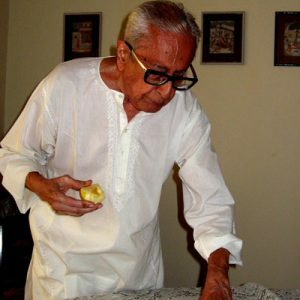 Vaidya Our grandfather, was a man of utmost poise, grace and dignity. A man with a fantastic sense of humour and at the same time - a man of a few words. His actions always spoke louder. You could tell the time with his meticulous routine. We had so much to learn from him ( Mostly my sister who used to exasperate him with her chaotic ways) - specially his measured use of all resources. He was part of the real zero waste generation. A generation that used and reused and recycled and repurposed long before they became cool hash tags. Ajoba, as we called him was the epitome of repurposing and reusing. Newspapers with ads that contained blank spaces were saved to scribble his limericks on, ice cream cups were saved to be used as planters, left over marble squares from the kitchen construction were made into paper weights.... the list is endless. We grew up within this structure of using an item till its absolute last breath. I'm sure all of us did. Anything that broke, was repaired not thrown, there was no shame in reusing stuff. But to be fair, things were built to last... not like our use and throw products of today. So, what happened to all of that? 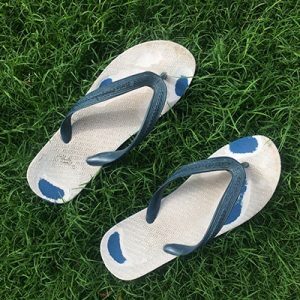 The saving, the using of slippers till you could actually see the blue layer underneath and all the ingenious tricks and hacks and jugaads to make things last a little longer? ( We've inherited a crochet table cloth that was made from thread saved from flower garlands...!) I'm sure all of us have so many such treasures and stories to tell. So why did it all stop? Or rather, why did we stop? 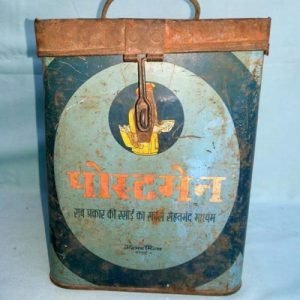 We jugaadi Indians have it in our blood - so how did we land up becoming a use and throw people? Speculative answers are many - disposable incomes, rushed lifestyle( no time to breathe and you are asking me to reuse/save/repurpose?! mad-o-wot?!) easy access to new products ( aka online shopping) the list is endless. But this consumerist behaviour of ours comes with a huge cost ( no, the credit card will not cover it). The cost of depleting natural resources, overflowing landfills and polluted oceans to name a few. Doomsday scientists tell us that we are way past the tipping point - and that there is no hope. BUT, we believe that there is always hope. We can all make a difference - you and me - together. And that is the very idea of Cornucopia. We want to be that little nudge that pushes you to rethink your consumption, we hope to get you to look at your possessions in a new light. Through our products, we encourage you to try and extend the life- cycle of your clothes to begin with. Those clothes that you just don't want to part with, those clothes that just can't be donated. And Cornucopia is just that - it's a way of life that we aim to achieve. A way of life that is not just based on consumption, but on balanced consumption. Where you give when you take. Through our products and practices we aim to provide sustainable alternatives to everyday utility items. No, we are not reinventing the wheel - we are just making sure it keeps moving in the right direction. Our Grandparents have set the bar really high for us when it comes to recycling, so we at Cornucopia hope to take their legacy forward by means of repurposing cloth. We got to start somewhere right? So what you waiting for? Contact us today to see what you can repurpose! Mixing the old with the new - the Cornucopia way! 2017, We love you!! 2018, bring it on! All wrapped up in love! Such a lovely write up Manisha! Your passion shines through in every new or rather should I say recycled product that you create!! ? It’s so amazing to see the ideas that you come up! 3 cheers to you & Ayesha for a great, purposeful journey ahead.. This is a fantastic idea. My Dada used to use his chappals both for walking and beating me when I got up to mischief :)…and also to kill rats.This is what made India and our culture so great.Now we are moving towards a throwaway society.We can preserve beauty by reusing old things in new ways.This has inspired me to find new uses for used napkin papers at my bakery. All the best with recycling the napkins! let us know how it goes! I would wish you to gv me tips on starting off my own. Well I am a person who believes in recycling n upcycling just that I don’t hv enough ideas. Copyright © 2018, Cornucopiaconcepts, All Rights Reserved.